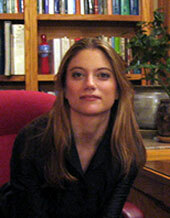 Amanda Itzkoff, MD | NYC Psychiatrist, Manhattan Psychiatrist. Dr. Amanda Itzkoff is a New York City psychiatrist offering a full spectrum of services including psychotherapy, psychopharmacology, and interventional treatment including dTMS and ketamine for patients with treatment resistant depression, anxiety, bipolar disorder, and attention disorders and OCD. Her warm, compassionate approach to talk therapy sets patients at ease and helps them focus on constructive steps toward improving emotional wellness. She is dedicated to working collaboratively with individuals to achieve success, drawing on her extensive training and experience to help them navigate internal and external challenges. Dr. Itzkoff can design a collaborative therapy plan suited to your lifestyle and personal goals. Dr. Itzkoff’s private practice is a friendly, comfortable environment for one-on-one, confidential support. She welcomes adolescents, individuals, and couples to her practice and is committed to providing the level of support that best suits each person?s needs. Her expert use of personalized talk therapy and medication helps teens and adults move forward in good health, contentment, and balance. Dr. Amanda Itzkoff is board certified in psychiatry and thoroughly trained in the most modern applications of Psychotherapy and Pharmacology.